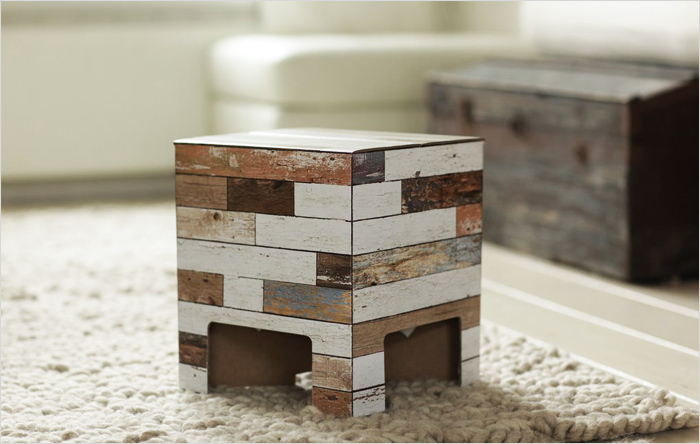 Is it a stool, a chair or a coffee table? Well it could be all of them, and amazingly it’s made of cardboard. This fabulous Dutch Design Chair, cleverly constructed in the Netherlands can withstand weights of upto 200lbs! The lovely Family Budgeting has just purchased one as part of her living room makeover and I can’t wait to see it. Stylish, funky and so so different I just love it. It comes in lots of different styles; wood, pebbles, Holland and steel. There’s one for every room! And the price? Well it sells for around £20-£25 each, that’s all. An incredible price for something so cool. Every home should have one. Take a look at the video to see how it arrives and how you unpack it to create your stool. Right I’m off to get one for my new snug. They’re available all over the internet at places like Amazon, Ebay and lovely home interiors stores too. These are so cool. I’m thinking the map ones would be fab in a child’s bedroom!